Nebraska is the state of the prairies, the Great Plains, towering Sandhills dunes, beautiful wedding venues, unique resorts and dramatic rock formations in the panhandle. 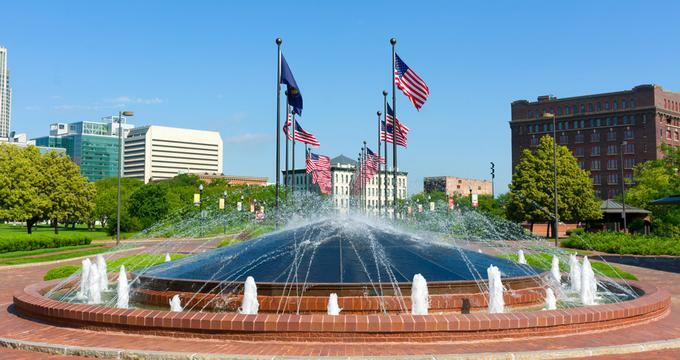 Its capital is Lincoln, a lively university town, with a magnificent capitol building. Nebraska is a state proud of its pioneer past presented in unique, living museums such as The Great Platte River Road Archway in Kearny, the Durham Museum or the G.W. Frank Museum of History and Culture. Sunken Gardens is a beautiful 1.5 acre romantic, fragrant garden built in 1930 as a project for unemployed men, which grew into one of the favorite Lincoln parks. Every spring, an army of volunteers plant more than 30,000 plants following a particular theme and inspiration. During springtime, visitors walk between miles of colorful tulips and daffodils and celebrate the rebirth that occurs after winter. 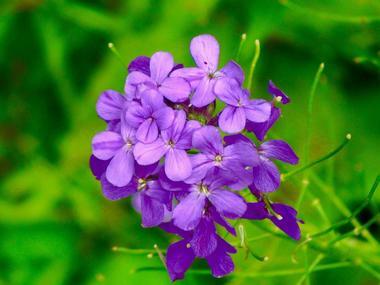 In the summer, thousands of blooms greet visitors until fall chases them away with colorful leaves. The garden also has a cascading waterfall and two reflecting pools. 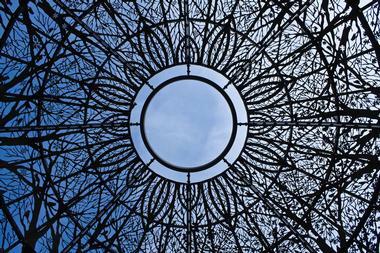 There is a number of sculptures scattered among the blooms and a dome designed by architect Jeffrey Chadwick, which is made of laser-cut panels which represent the four seasons of Lincoln. The Nebraska State Capitol is the government seat of the State of Nebraska. This stately building in downtown Lincoln was constructed of Indiana limestone and designed in 1920 by architect Bertram Grosvenor Goodhue. Its architectural style is a curious mix of Art Deco, Neo-Byzantine and Gothic Revival styles. The capitol is known as the "Tower on the Plains" because its 400-foot tall tower is visible from 30 miles away. 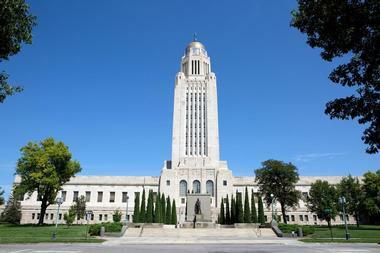 The capitol is home to the primary Nebraska executive and judicial offices and Nebraska’s Legislature. The 400-foot domed tower is topped with the 19-foot tall bronze sculpture “The Sower.” The building’s outside stone carvings feature historic events in the evolution of the democratic form of government. There are many chambers with marble columns and vaulted tile ceilings, marble mosaic floors and murals illustrating the social and natural history of Native American and Pioneer cultures of Nebraska. Lauritzen Gardens is a magnificent urban oasis insouthern Omaha, which is spread over 100 acres of riverfront hills.The gardens offers a four-season botanical garden and an arboretum whichoffers peace, tranquility and unparalleled beauty. Visitors can explore this living museum and escape the hustle and bustle of the city while strolling through the fragrant rose garden, romantic Victorian garden, children's garden, unique model railroad garden and the spectacular Marjorie K. Daugherty Conservatory. The conservatory is home to indoor tropical and temperate plants that need protection from harsh winter. When you get tired of walking, take a comfortable garden tram that provides tours of the garden. 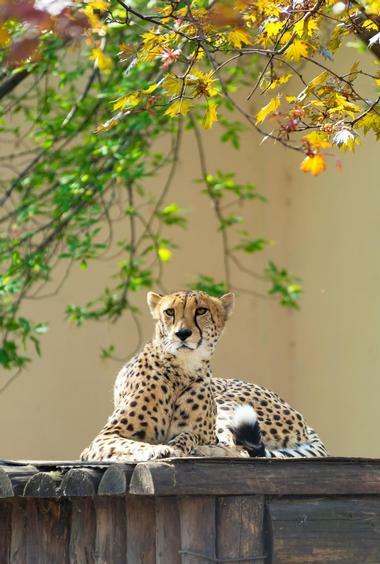 Starting its life in 1894 as Riverview Park Zoo, Henry Doorly Zoo grew into one of the world’s best and largest zoos with more than 950 animal species and some of largest exhibits in the world. The Lied Jungle occupies 80-foot tall building covering 1.5 acres. You can peek behind a curtain of water of a 50-foot tall waterfall and watch animals in the largest indoor jungle in the world. Walk along a trail on the jungle floor or on a raised walkway and see blue monkeys, common squirrel monkeys, black howler monkeys, pygmy hippopotamuses , scarlet macaws and many others. An enormous geodesic "Desert Dome" contains examples of geologic features from some of world’s biggest deserts and is home to many animals that are well suited to an arid environment such as central bearded dragons, collared peccaries, greater roadrunners, desert cottontails, swift foxes and others. There are two rides that can take you around the zoo and the attached Walter and Suzanne Scott Kingdoms of the Seas. There is also a carousel for kids and a Skyfari, an aerial tram that takes visitors from the Butterfly and Insect Pavilion to the lion exhibit. Memorial Stadium is known for providing some of the most exciting experiences on game day in college football - it is famous for holding a NCAA record of 349 consecutive sellouts since 1962. 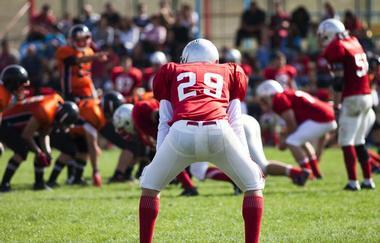 The stadium, located on the campus of the University of Nebraska–Lincoln, is the home of the Nebraska football team Cornhuskers. It was completed and dedicated in October 1923. When full on game days, which happens often, the stadium is called the "Sea of Red" because all the University of Nebraska fans wear red. The stadium originally got its name in honor of all Nebraskans who served in the Spanish-American and Civil Wars, as well as the 751 Nebraskans who perished in World War I. It was later added that the stadium also honors the Nebraskans who were lost in World War II, in Korea; and in Vietnam. The Great Platte River Road Archway or The Archway is a unique museum that honors the role Nebraska and the Platte River Valley played in America’s expansion to the west. 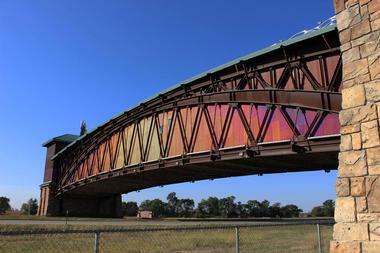 The Archway spans about 300 feet directly over the very busy Interstate 80, about three miles east of Kearney. The visual and audio journey through the Archway takes about one hour and takes visitors through the country’s history beginning with Fort Kearney in the 1840s, where the Oregon Trail crossed paths with California Trail and the Mormon Trail. The story continues with the Iron Horse rumbling on the transcontinental railroad. Watch the story of a Pony Express rider as he makes a stop to change horses racing to deliver mail from one side of the country to the other. You can listen to the first transcontinental telegraph as it transmits the news that the Civil War had begun. Before finishing your journey, stop at the drive-in theater and have a look at the passing traffic below. Located in the beautiful marble Art Deco building in downtown Omaha, the Joslyn Art Museum is Nebraska’s main fine arts museum. 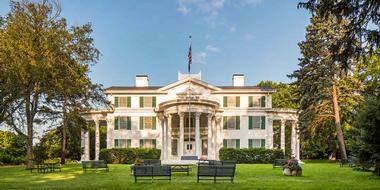 It was completed in 1931 in honor of businessman George A. Joslyn. Its permanent collection of artwork focuses on nineteenth and twentieth centuries American and European artists such as Renoir and Bouguereau. It also contains major works of Veronese, El Greco and Titian as well as collections of Greek pottery and American Western art. The museum’s Joslyn Sculpture Garden, which opened in 2009, features artwork from local and national artists. The garden, which features a beautiful reflecting pool and waterfall, hosts the annual Jazz on the Green festival. 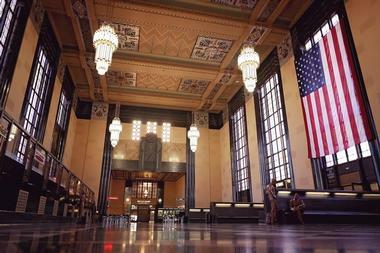 Located in the magnificent 1931 Art Deco former Union Station in downtown Omaha, the Durham Museum displays and preserves the history of the United States' West. 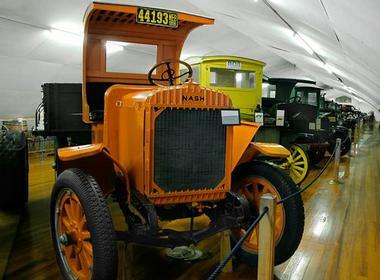 The museum's permanent exhibits include meticulously restored train cars, reconstructed 1940s store fronts, thousands of original historic artifacts from the region, and the exquisite Reed collection of some of the world's rarest documents and coins. The museum often presents impressive traveling exhibits thanks to its affiliation with the Smithsonian and ties with the National Archives, Library of Congress and Chicago's Field Museum. The museum organizes a range of programs, classes and tours for Omaha's school children. The closest you can get to a real wildlife safari in Nebraska is by visiting Lee G. Simmons Conservation Park and Wildlife Safari near Ashland. You can drive through the park for four miles, watching native North American animals in their real life habitat. You can meet elk, bison, white-tailed deer, pronghorn antelope and much more. There is a recreation of the Platte River which houses 24 Sandhill Cranes and four Trumpeter Swans. The 10-acre wetland is home to 19 American white pelicans, turtles and frogs. There is also a Wolf Canyon, where you can get out of your car and wander around,which houses six gray wolves.Bison Plains, a 40 acres habitat for American Bison, boasts a mix of woodland, hills and open grasslands. Children are never satisfied just to watch animals. They want to pet them, play with them, feed them and become friends with them. The Lincoln Children’s Zoo is designed to provide that experience. 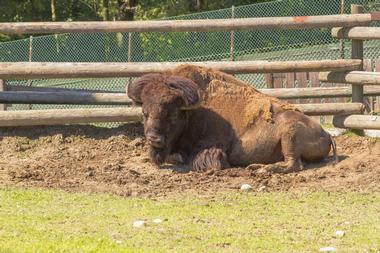 The zoo is a10-acrehome to almost 400 animals, about 40 of which are endangered. By far the most popular activity in the zoo is The Animal Encounter Stage, where kids, and their parents, can get really close to many animals and their keepers, and learn about them and their habitat. There are four shows a day with over 20 animals that rotate during the day, so the kids can meet Apollo the Bobcat, Fez the Armadillo, Renzo the Porcupine, Scout the Owl, ZanDaam the Boa Constrictor, Elliot the Macaw, Crosby the Two-Toed Sloth, Calvin the baby Alligator, Liv the Wallaby and others.The zoo has a range of programs and hosts activities with local schools and children's hospitals all over the country. Pioneer Courage Park is apark featuring bronze sculptures.The park covers more than six city blocks and features pieces that are integrated within Omaha's urban. The sculptures in the park depict the city's colorful pioneer history in one of the biggest bronze and stainless steel sculpture installations of in the world. The story that sculptures tell begins with a wagon heading west, scaring a herd of bison into stampede. You can see the sculptures of bison on Dodge Street where they scare a flock of large Canada geese. As the geese take flight, they end on the First National Tower. The entire Pioneer Courage and Spirit of Nebraska's Wilderness parks has more than 100 individual bronze sculptures, which are 1.25 times life size, with weights ranging from 400 pounds to six tonsThe sculptures were created by sculptors Blair Buswell, Kent Ullberg and Edward Fraughton. 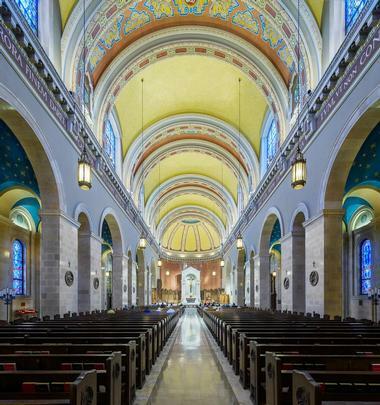 St. Cecilia Cathedral is located in Omaha’s Gold Coast Historic District. This beautiful building is designed in the Spanish Renaissance Revival style, which was quite unusual for the early 20th century when its construction began. Architect Thomas Rogers Kimball explained his choice by Spain and Mexico’s influence on the region, which was a part of the missionary area under the See of Santiago de Cuba. St. Cecilia is an active cathedral church of the Roman Catholic Archdiocese of Omaha. It was one of the largest cathedrals in the States when it was finished in 1959. The cathedral is listed on the National Register of Historic Places. Its organ was built by Pasi Organ Builders in 2003. North Platte, Col. William F. Cody's hometown, was where “Buffalo Bill” started with a show, similar to a rodeo, that he called the “Old Glory Blowout” in 1882. This was before he brought his famous Wild West Show to the East Coast in 1883 and to the world in 1889. Cody built his home on the 4,000 acres he owned there, and in 1886, after becoming rich and famous, he built the opulent Second Empire mansion. His sixteen-acre ranch, called “Scout's Rest,” is now a historical state park with many original everyday items from Cody's life. 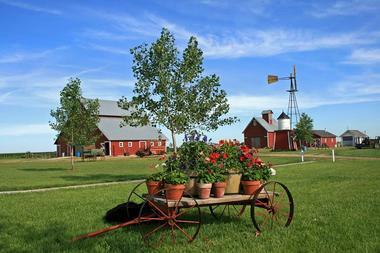 The farm is open to guided tours for large groups. The Strategic Air Command and Aerospace Museum contains the largest collection of Cold War artifacts and aircraft in the States. 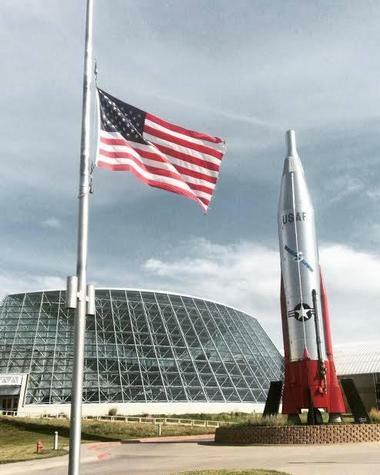 You can see iconic aircraft such as the magnificent SR-71 Blackbird, nine bombers (including a B-36J “Peacemaker”, a B-1A “Lancer”, B-17 ‘Flying Fortress'), missiles, the Apollo Command Space Module, a collection of artifacts belonging to Nebraska's Astronaut Clayton Anderson and much more. The museum organizes frequent fun family events such asthe Science Fair, the Family Fun Carnival,the Indoor Air Show abd Helicopter Day. The Museum also offers summer and winter camps including the Astronaut Academy, the Mad Scientist and Robot Academy camps. 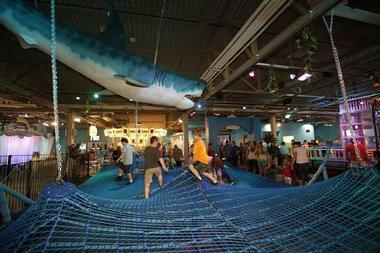 The Lincoln Children’s Museum in Lincoln, Nebraska is three floors and 23,300 square feet of pure fun. Kids can dance, play, build, climb, sing, create and laugh, and through hands-on exhibits and intelligent and imaginative programs,discover that learning is an exciting adventure. On the lower level is the Performing Arts Center where kids can grab a costume and jump on the stage, or learn how to set the lights and change the backdrop. The lower level also contains the Puppet Theater, the prairie dog tunnels and the Me and My Shadow area where kids play using shadows. On the main level is the Tiny Town with everything a real town would have, such as a Farm and Kimmel Family Apple Orchard, Hy-Vee Grocery Store, the 10/11 TV Studio, the Johnny Carson Theater, Union Bank, the Pizzeria and so much more. Of course, there is the Husker Sports Area, it is Nebraska after all. 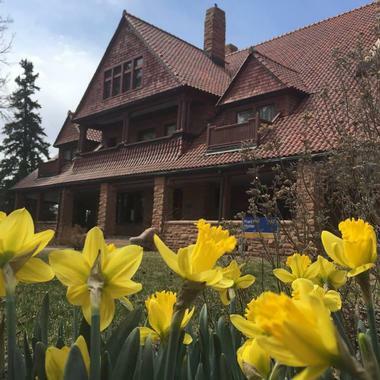 Known on the University of Nebraska at Kearny campus as the Frank House, the museum is a magnificent mansion made of beautiful Colorado red sandstone which was built by the G.W. Frank family to entice investors to Kearney. It was the first house in the area to be wired for electricity when it was built in 1886. The Arbor Lodge State Historical Park and Arboretum is a spectacular 52-room neo-colonial mansion, park and arboretum located in Nebraska City, Nebraska. Originally, the house was built in 1855 for J. Sterling Morton, the Secretary of Agriculture in the 1890s and the originator of Arbor Day. The house started as a simple four-room frame house on 160 acres and was extended several times until it grew into the beauty we see today. The mansion is filled with Empire and Victorian furnishings, many of which belonged to the Morton family. The magnificent park was designed by renowned landscape designer Frederick Law Olmsted and it contains more than 200 varieties of lilacs from all over the world. Arbor Lodge is managed by the Arbor Day Foundation and owned by Nebraska Game & Parks Commission, and is open to the public. The Omaha Children’s Museum is a 60,000-square-foot fun place in downtown Omaha, where kids can play, challenge themselves and learn about the world around them through interactive, entertaining exhibits and activities. The museum opened its doors in 1978 and includes a range of permanent exhibits such as the Creative Arts Center with a theater, community sculpture and art island, Artist-in-Residence Studio and the "Charlie Campbell Science and Technology Center". The center has the "Super Gravitron", a machine with balls powered by wind, air and water, which run on rails and through tubes. There are also an inventors’ workshop, the "Science Showplace" with live science presentations and pulley and vacuum chairs. The "Imagination Playground" is designed for very young children. There is also an interactive outdoor fountain called "Sandy’s Splish-Splash Garden," and four 24-foot whirligigs that look like giant pinwheels. As you drive along Interstate 80, at the southwest end of the Lauritzen Gardens, you will be greeted with a big sign that says ‘Welcome to Nebraska” and two of the largest locomotives ever to belong to the Union Pacific Railroad - Union Pacific Big Boy #4023 and Union Pacific Centennial #6900. They are the largest steam locomotives in the world. 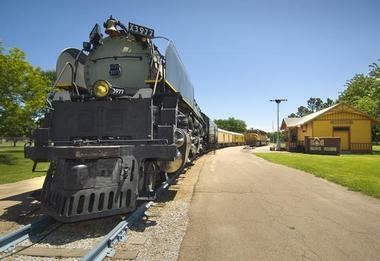 The locomotives are surrounded by Kenefick Park’s greenery – native plants and fields of grasses, seating areas, plazas, "canyon" stone walls, a grand staircase, interpretive signs, walkways and sculptures. The park was designed to portray the role of Union Pacific Railroad in the history of Omaha and the West. Originally built as a retail and wholesale grocery market, the Old Market district started with the Market House in Omaha's Jefferson Square. Eventually, the warehouses and other buildings were repurposed and became a part of The Omaha’s Old Market entertaining neighborhood. The area still has its original turn of the century brick paved streets, sidewalks that are partially covered and horse-drawn carriages. Omaha Old Market is a home to a lively mix of shops, galleries, pubs, restaurants and taverns. 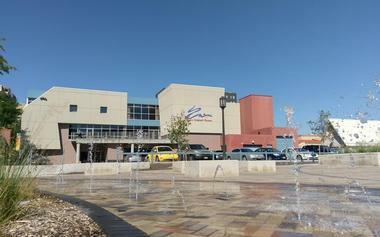 It is also a popular nightlife destination. Artists and street musicians add live entertainment. 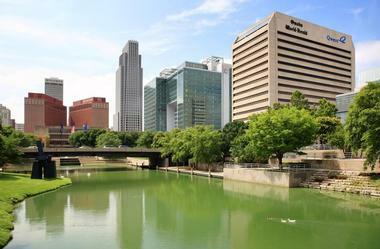 Many of Omaha hotels are located nearby in downtown Omaha. The Old Market is registered as a historic district on the National Register of Historic Places. Harold Warp grew up dirt poor in a sod house. He scrabbled hard and eventually became a millionaire manufacturing plastic. He never forgot his roots and wanted to sharehis classic American story of rags to riches, so he decided to create a Pioneer Village, a replica of Minden, the town in which he grew up. He bought a number of local historic buildings including a church and a one-room schoolhouse, moved them to the current location and,in 1953,he opened this living museum. The Ashfall Fossil Beds State Historical Park in Antelope County in northeastern Nebraska are the result of an ecological ‘snapshot’, when a catastrophic event – the massive volcanic eruption in today’s Yellowstone Park about 10,000 years ago – produced enormous quantities of ash that fell over a group of animals in a watering hole, killing them instantly. Their skeletons are extraordinarily well preserved and fossilized and, when discovered, were left onsite for conservation and viewing by visitors. The entire site has been covered by a Rhino Barn for protection. 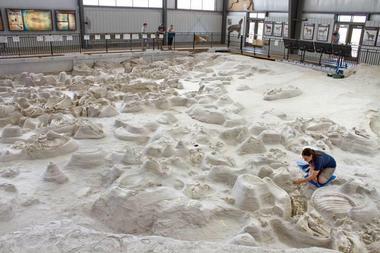 The Ashfall Fossil Beds are particularly famous for fossils of mammals from the Middle Miocene epoch. The area has been declared a National Natural Landmark. Located in the Gold Coast Historic District of Omaha, Joslyn Castle is a Scottish Baronial style mansion built in 1903 of Kansas Silverdale limestone for Omaha businessman George Joslyn and his family. The four-story 35-room mansion and a carriage house tower are surrounded by five acres of magnificent formal gardens. The greenhouse is filled with rare orchids despite the fact that many of the plants were destroyed by a tornado in 1913. The castle, which is open to the public, has a reception hall, ballroom, music room, a library and gold-painted drawing room. The basement originally had a bowling alley. 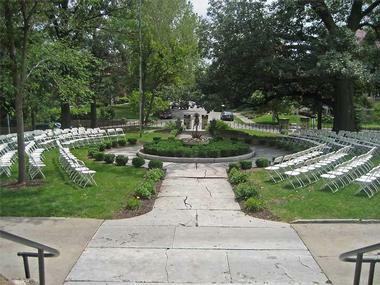 Romantic and imposing, Joslyn Castle is a popular venue for weddings and other celebrations. David Wessels was a farmer in York County, Nebraska. When he died in 1993, he left a big chunk of his estate and his 160-acre farm for agricultural education – for construction of a living history farm. The History Farm was open in 2005. There are now eleven historic buildings, each with its specific focus and a story to tell, but they all bring to lifewhat real farm life was like in the 1920s. Cody Park is a 100-acre park located on North Highway 83, just south of the North Platte River. 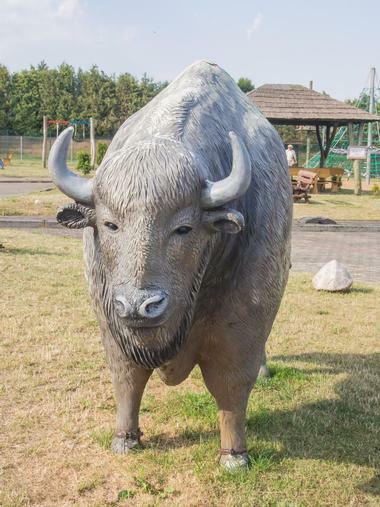 It offers an interesting mix of picnic areas, fun children's rides such as a restored antique carousel with hand-made horses, and an enclosure with elk, deer, burros, peafowl, sheep, ducks and geese. The park also features a life-size statue of “Buffalo Bill” Cody, flags from his tours of the Wild West Show and a number of old railroad cars and locomotives and carsgifted by Union Pacific.In September every year Cody Park hosts the “Arts In the Park” event, with booths sellingcrafts and art by local artists and craftsmen.